How following through with a great idea led to a life lived among the stars. Surrounded by Martian action figures, Garbage Pail figurines, and framed posters of galactic heroes and villains, Ira Friedman barely has a moment to play with his toys. And there are quite a few toys, at that. 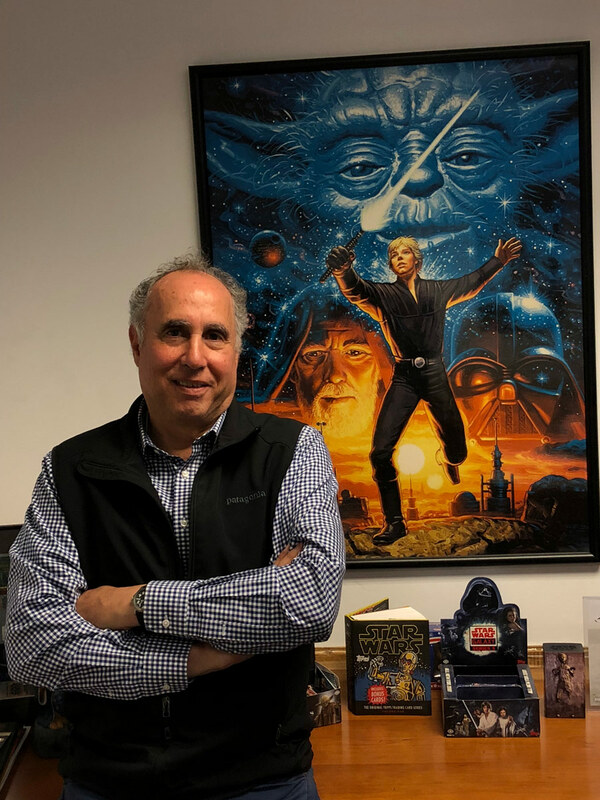 As vice president of licensing and publishing at the Topps Company for almost 30 years, boxes of samples and (of course) hundreds of trading cards have obscured Friedman’s desk, covering his coffee table and the windowsills looking out onto Bridge Street amid dozens of contracts. Visitors to Ira’s office cast their eye on oddball collectibles, curious about the pedigree of each knickknack, doll, statue, and paperweight. But despite the various brands Friedman has shepherded through the halls of One Whitehall Street, evolving them from contract to card sheet for Topps — the venerated, 75-year-old publisher of sports and entertainment collectibles — a glance around his office makes it clear to visitors that one franchise holds a special place in Friedman’s heart: Star Wars. 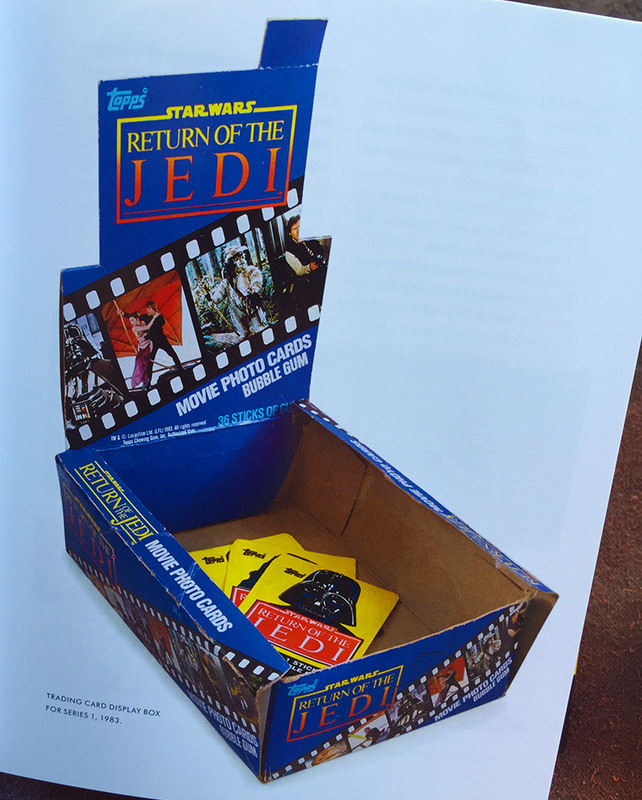 Topps and Lucasfilm have been collaborating on Star Wars trading cards for 40 years, navigating the hyperspace lanes of the collectibles industry like smuggler and Wookiee co-pilot since their first, classic blue-bordered set in 1977. One such visitor to Friedman’s office sticks in his head not to gawk or talk business, but rather to marvel over a grainy photograph in a dog-eared magazine: a picture of a younger, leaner Friedman circa 1980, gracing the faded pages of Bantha Tracks, newsletter to the Official Star Wars Fan Club. As his guest would soon learn, Friedman happened to be Bantha Tracks’ editor and the Fan Club’s director in its halcyon days: newly employed by Lucasfilm, spreading the word about rebels and the Empire to a growing community eager for more droids, creatures, and starships. Thirty-seven years since that photo was taken — three shy of the anniversary of Star Wars itself — Ira opens up to StarWars.com about his early years as a fan, and his journey from stargazing with a fanbase overwhelmed by George Lucas’ bold vision of science-fiction to becoming the caretaker of the community itself. 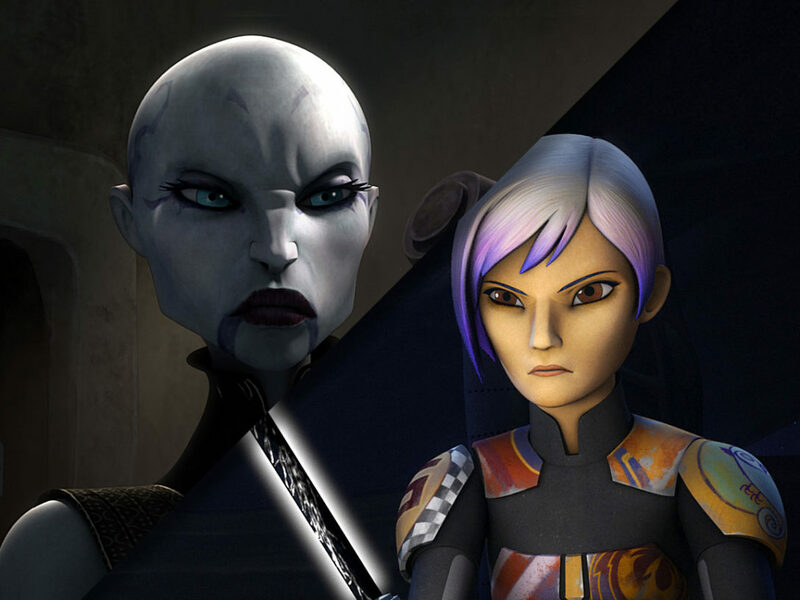 StarWars.com: So, Ira, how did you originally get involved with Star Wars as a fan? Ira Friedman: I was there opening day in 1977, of course. Went to see the movie and fell in love with it, and ever since then I have been a fan for all these years. 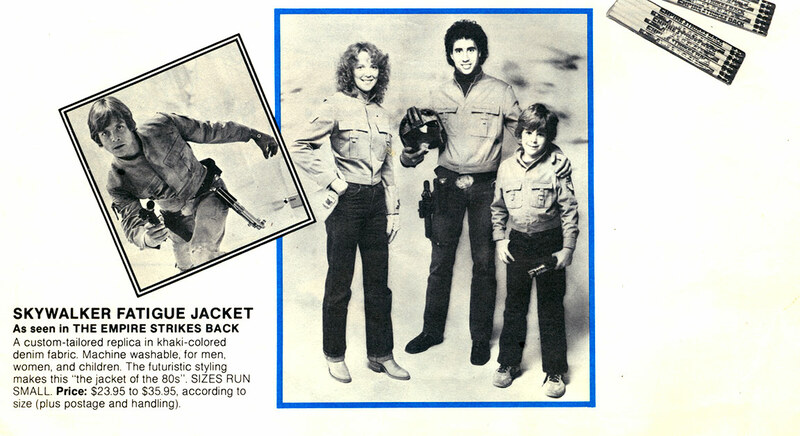 It was shortly after Star Wars debuted that I became involved with Starlog magazine, which is kind of a media/fanzine/magazine that focused on the science-fiction medium. Starlog became another repository for my interest in Star Wars, because every issue found reasons to include lots of information about the film and characters. StarWars.com: On what level were you involved with Starlog? Ira Friedman: My first job out of college was working for a distribution company in New York City that represented hundreds of magazines. One of those clients was a small publisher named O’Quinn Studios. At some point in time I got bored with the magazine circulation business, which is kind of a numbers-oriented and logistics business…my interests lie more on the publishing side of things. I looked at what O’Quinn was doing — publishing Starlog and other fan-oriented magazines like Fangoria. They caught onto the horror genre pretty early, and Fangoria was soon followed by a magazine entitled Future, with which today’s fans might be less familiar. Future dabbled more in fact than fiction, but included a lot of science fiction, as well. Many of its pages were filled with beautiful artwork by talented space-art painters, and fantasy art including legends such as Boris Vallejo and the Hildebrandt Brothers. I went to work for O’Quinn as the assistant publisher and was soon promoted to associate publisher shortly thereafter. That opportunity at Starlog ultimately provided me with the opportunity to go work for Lucasfilm. StarWars.com: When did you finally make that jump — working directly with the franchise that had caught your attention? Ira Friedman: That was in 1980, prior to The Empire Strikes Back. I was a little cocky at that age — in my twenties — thinking I wanted to go into business for myself. I believed that I understood the publishing and circulation business, and it was time for me to create my own products. 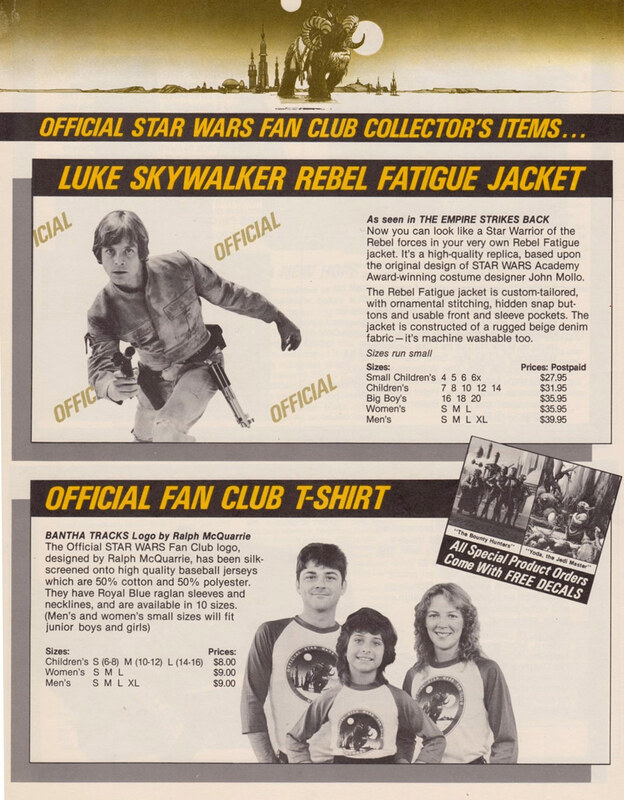 At that time, there were big companies involved with Star Wars merchandise — Kenner, of course, being one — but there were also many smaller companies offering mugs, masks, shirts…most of whom are long gone. These companies did not have significant distribution into the mass market retail side of the business. They were little mom-and-pop manufacturers. And so I thought that with this magazine you, as a fan, could read up on Star Wars, get lots of behind-the-scenes articles and information, and at the same time directly purchase your favorite Star Wars products on a mail-order basis. “You’ve got the idea,” I said to myself. “Now you need to find somebody at Lucasfilm who might be willing to listen.” I didn’t have any contacts there at the time, because most of the Lucasfilm contacts at Starlog had been orchestrated by the editorial team. So I picked up the phone, located the Lucasfilm general number and asked to speak to someone in merchandising. Ultimately, I got on the phone with someone who said, “Well, if you have something you think might be unique, I’m coming to New York and would be happy to sit down.” This was the senior vice president of Lucasfilm merchandising, which at the time had the name of Black Falcon Ltd.
StarWars.com: Love that name. It sounds like a covert Resistance Squadron comprised solely of jet-black YT-1300 light freighters. Ira Friedman: I met with this guy a few weeks later, whose name was John Moohr. I had a couple of weeks to put together a presentation. This was, of course, pre-computer age; there was no such thing as Powerpoint. I cobbled something together with a typewriter and hand-drawn illustrations and piecemealed together a pitch, which I would present to John over breakfast at the Carlyle Hotel. He had a colleague with him, the vice president of publishing for Lucasfilm at the time, Carol Titelman. They heard me out, were very pleasant and courteous. Then they thanked me for my time and said that they would be in back in touch. I remember clearly — this was nearly 40 years ago — feeling very pleased about the fact that I had an idea and decided to actually do something with it. I thought that if I never heard from these folks again, if nothing else were to happen, I was happy that I at least tried my best to do something with it. True enough, I did not hear anything for a while, and I was okay with that. I had my job at Starlog, and I continued to do my thing. One night the phone rings, and it’s John Moohr. He says, “Well, Ira…I’m sorry. We like you very much but we’ve decided to take a pass. The timing isn’t right, and this isn’t something we’re prepared to move ahead with right now. But you never know what might happen, and so let’s keep in touch.” Of course, I was disappointed and feeling down, but at the same time I was happy that I had at least gotten the idea that far. That was the end of it until a month went by, and I got another call from John who said, “You know, Ira, we’ve been thinking. We liked you a lot, and you clearly have your finger on the pulse of Star Wars fandom. We’d like you to visit the office, meet members of the team, and maybe something will come of it.” He said they would send me a plane ticket, put me up across from the Lucasfilm headquarters on Lankershim Boulevard near Universal Studios, and we would chat. So, I went on my merry way to California, not knowing what might be ahead, and spent the day at Lucasfilm. The company wanted to keep a low profile in Hollywood, so the sign on the door simple read “The Egg Company.” In its original incarnation, The Egg Company was an old warehouse used to store eggs. 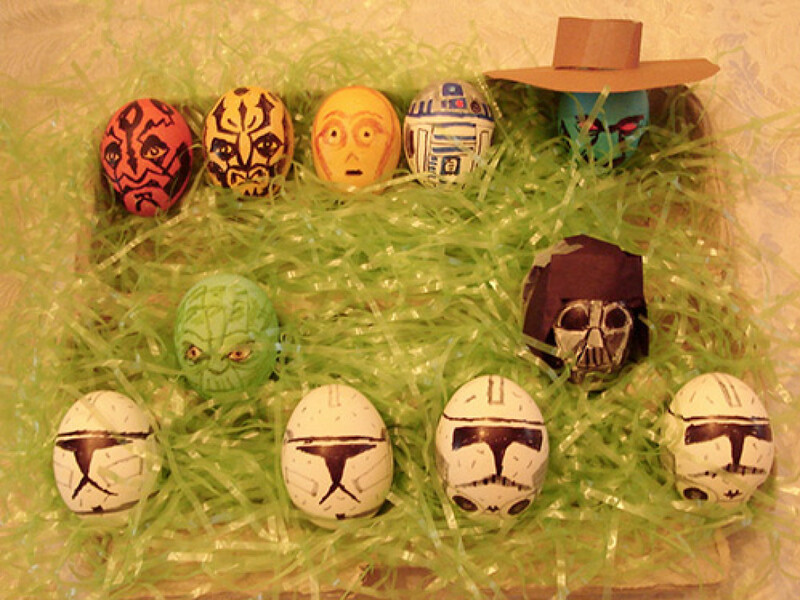 They kept the name, but anyone who knew anything about what was going on understood that The Egg Company was the location where Lucasfilm was situated. I walked into the building, converted into this magnificent workspace, through some stained-glass doors into an inner two-story atrium with cobblestone floors and skylights. I was asked to wait on one of the couches in the atrium, and the first person I saw upon entering the building — me, this naive kid from Long Island — was Steven Spielberg, there to screen test potential actresses for Raiders of the Lost Ark. I remember seeing Debra Winger there, as well, and the balance of the day was spent meeting people in the organization. George, of course, was located in Northern California so we did not meet at the time. But I did meet with Sid Ganis, vice president of marketing for many years who went on to become president of the Academy of Motion Picture Arts and Sciences and also produce his own films. The team asked me about my background and what I wanted to do, and the next morning I headed back to New York not knowing what to expect other that they were sizing me up to see if there was a place for me at the company. Sure enough, a number of weeks after that, I was offered a position to come west and work for Lucasfilm. StarWars.com: What was your original role at the company? Ira Friedman: The main function that Lucasfilm wanted me to fulfill was to take the Star Wars Fan Club to an entirely new level. George had a special affection for the fans, a deep appreciation for the fandom. He understood the mindset of the community, so engaging with fans was always of great importance to him. They wanted me to come in and take some of the product development experience I had, focus on the Club and assist with other departments within the organization. Under my care, the Fan Club became a much bigger, more successful operation, reaching hundreds of thousands of fans. We published the Bantha Tracks newsletter [which had launched in 1978 under Craig Miller]. I also developed a line of merchandise — one of the things I took satisfaction in was developing apparel. I decided to create a replica of the battle fatigue jacket that Luke wears in The Empire Strikes Back and sell it through the pages of Bantha Tracks. We reproduced it by taking apart one of the original costumes and getting a manufacturer to make it for us. There’s a picture of me in one of the issues of Bantha Tracks, where by default I became a reluctant model for the product. They wanted it to appeal to men, women, and kids, as well. 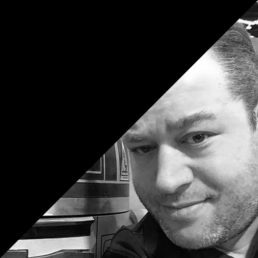 StarWars.com: You went from being a fan, Ira, to becoming a professional — working directly within the hallways of the franchise. Did that evolution change your perspective on Star Wars itself? Ira Friedman: The company in those days was very small and personable. There was a softball team I played on; every Thanksgiving each employee got a free-range turkey from George. There were Christmas presents, and paid vacations…a real sense of family and community. Everyone who worked there was in a similar age range. Spielberg was nearby, prepping for Raiders in an office two doors down from mine — as was his assistant at the time, Kathleen Kennedy…who also played on the softball team. And so, I never really thought about the business of Star Wars so much. I was still very young in the business world, doing something I thoroughly enjoyed. The Fan Club was wildly successful and it was one of the few projects that caught the attention of George Lucas who had this affinity to fandom. I never saw him around the offices very often; he was up where ILM and Skywalker Sound were doing their things, the creative functions of the business. We never saw him very often but because he had this affection for the fans and Fan Club, it was important to him. As a result, I had more contact with him so that was an added bonus. I started there before Empire and stayed for the original run of the saga. It was an exciting time to be there — and of course, the company has grown spectacularly since, but those were the early days and they were very special. And so, I never really lost that sense of being a fan, the sense of wonder and being infatuated with Star Wars. StarWars.com: Speaking of early days, talk to me about the early fan community. San Diego Comic-Con began in 1970, and though much different from today’s spectacle, there has been a Star Wars presence there since 1976. How different was the fanbase then from the way it is now? Ira Friedman: Well, obviously it was smaller. A lot of the tactics, though, for engaging with fans have remained the same. Back in those days there was a guy well-known throughout the community named Charley Lippincott, who was there in the very early, pre-‘77 movie release days spreading the gospel about Star Wars. He was out at conventions distributing posters with Howard Chaykin’s artwork from the Marvel comic book, trying to beat the drum and get people on board. I remember in the summer of 1980, attending San Diego Comic-Con as the Lucasfilm representative. One of my responsibilities was driving down from L.A. with a 35mm print of the movie in my car. At that time, Star Wars was out of theaters for a number of years. I don’t believe videotape of the film was available in 1980, so from my recollection while the re-release hit theaters again, it had not been seen in any public venue for at least a year, year-and-a-half. It was kind of a coup for Comic-Con to get a print of Star Wars down there and screen it for the fans. Now, when I say screened, it wasn’t like Comic-Con today in Hall H where there are eight-to-ten thousand people…it was a more personal experience, where if it were a thousand people there that would be a lot. 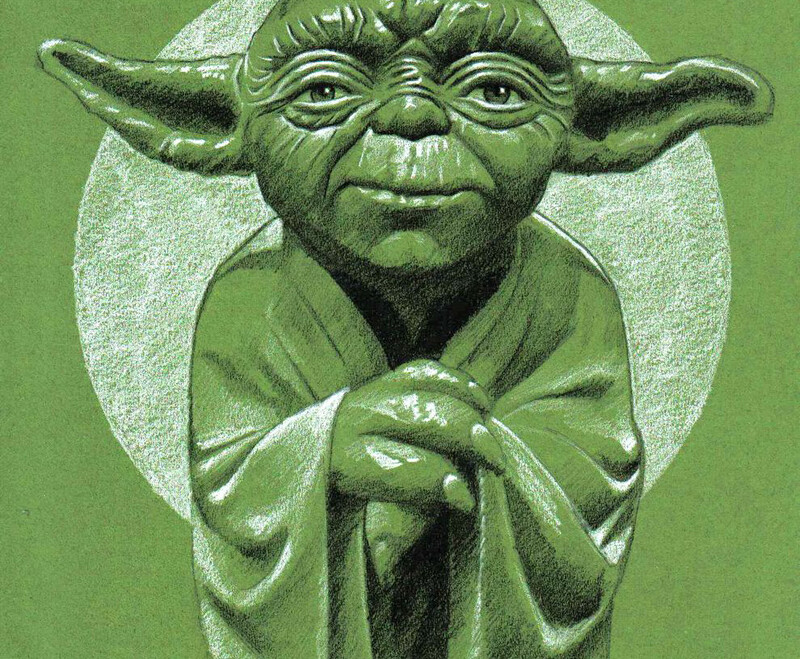 A print of Star Wars at the time was worth gold, considered enormously valuable, and they read me the riot act before I left L.A. that if I were to take my eyes off those canisters with the film inside for even a second and, God forbid, came back without it, I’d be in big, big trouble. I remember presenting the film at the show, engaging with fans who enjoyed it, but being too anxious to enjoy the convention myself. I got in my car to get back to town and get this print the heck out of my possession. Those days, of course, were simpler. There were no videogame companies at conventions or major spectacles. It was an intimate affair, mostly about comics and fans. Lucasfilm was truly — and Charley Lippincott was the man at that time — they were the pioneers of tapping into the community, spreading the word about Star Wars and then subsequent movies. They were truly the first to do that. The rest is history, where every studio big and small with a new project, TV or film, they’re all sending it to Comic-Con almost without exception. StarWars.com: As a comic book reader since the early ‘80s, I’m familiar with sending in letters as a way to connect to the creators, companies, and other readers. In the pre-Internet, pre-message board, pre-social media days, would you say most of the Star Wars fan correspondence at the time was being distributed via the Fan Club and Bantha Tracks? Ira Friedman: We had a tremendous amount of correspondence coming through the Fan Club. Twentieth Century Fox, who distributed the movie, sent us giant canvas bags of mail regularly because they couldn’t keep up with it. What we would typically do is take the correspondence and send the letter writer information about the Club as a way for them to keep on top of things. And we would sometimes send autographed photos of the stars to fans. The Fan Club was the primary vehicle for connecting the studio, the film, and actors with fans. Some of the actors had their own agents and managers overseeing their mail, but many preferred that we do it on their behalf. StarWars.com: You started at Topps in 1988, which was about five years after Return of the Jedi. 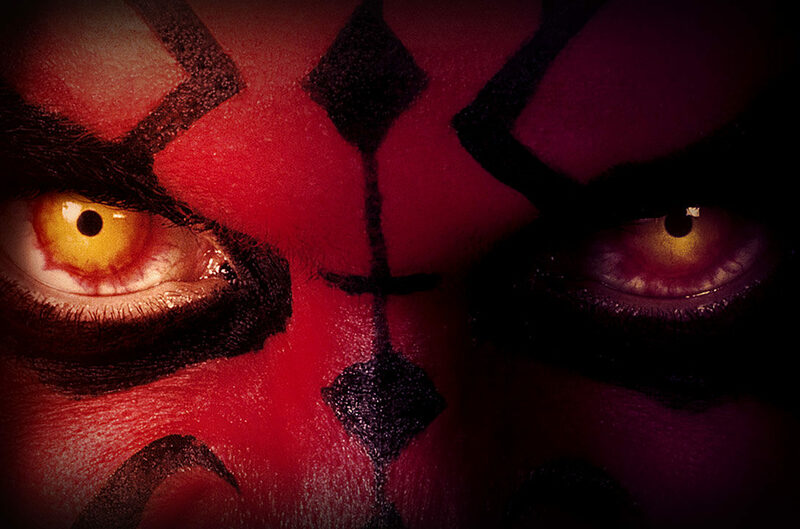 During that lull between Jedi and The Phantom Menace, how did things change for fandom? When you came into Topps there hadn’t been a trading card series in a while. So how did you start that up again and generate a new era of Topps Star Wars cards? 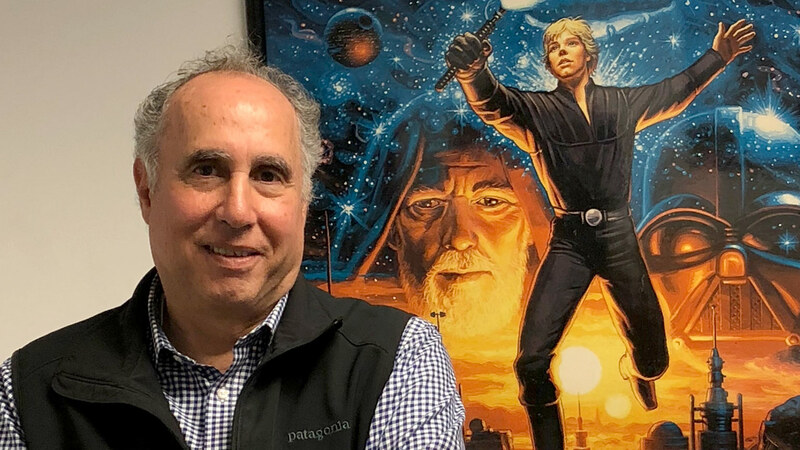 Ira Friedman: When I started at Topps in ’88, Star Wars was on the back burner — a low priority. We maintained some contractual rights, but the company was not active with the property at the time. I remember getting a call by the account executive from Lucasfilm at the time saying, to this effect: “Hey, Ira, we have a fifteenth anniversary coming; maybe you guys can come up with some cards?” I asked, “Well, are you releasing anything…is there any special promotional campaign you’ve got coming up?” And the answer was essentially, “No, but we think it’s about time to bring the property out there almost from a nostalgia perspective.” There was no notion of any new films at that time as something realistic; of course there was speculation back in the day that George had originally conceived of nine or six films, and there would potentially be more coming. But I remember in the late ‘80s that the licensing folks I was working with at Lucasfilm were not really emphasizing Star Wars as one of their own properties for licensing. Of course it was part of the portfolio, but they were working with third-party properties like the Grateful Dead and Saturday Night Live as a way to keep the licensing business going. Star Wars was a bit of yesterday’s news…and so, we talked about a fifteenth anniversary project, but never did it. The result of our ongoing conversation, however, led to the birth of our Star Wars Galaxy series of trading cards, which were enormously successful. StarWars.com: This was two to three years from the establishment of Image Comics, right? Ira Friedman: Exactly, you had Todd McFarlane who had a tremendous following from his days on Spider-Man. Jim Lee, as well, in his own right, and several others. The comics industry was really starting to bubble up and our thought was, “Why don’t we access these fantastic artists and give them the opportunity to interpret Star Wars in their own unique way and style.” That was the birth of Star Wars Galaxy. It was not difficult attracting talent to work on the project: every one of those artists grew up with Star Wars and had tremendous admiration, respect, and enthusiasm for the mythology. The chance to work on something Star Wars-related…it was a really exciting opportunity. I brought an uncut sheet to one of the trade conventions being run by Capital City Distribution. We had just come off press with the first run of Galaxy Series One and people went absolutely nuts for this thing. They were so excited that Topps was bringing Star Wars back in a timely, topical and creative way and — with no new movies in sight — that set us on a nostalgic path, on one hand, but yet very progressive on the other. It was an innovative take on the property which spawned maybe four different series of cards. We published books based upon it, and trade paperbacks that enabled us to take the artwork and blow it up large so that fans could really see it bigger than at two-by-three trading card size. In addition, there was a lot of background information about the creative process for getting those cards, from beginning to end. It even spawned our own Star Wars Galaxy Magazine, which had a terrific run on newsstands and both in comic shops and via subscription. Star Wars, independent of any new movies, started building a momentum of its own. You had the Dark Horse comics coming out, novels from Bantam that are now under the Legends banner. 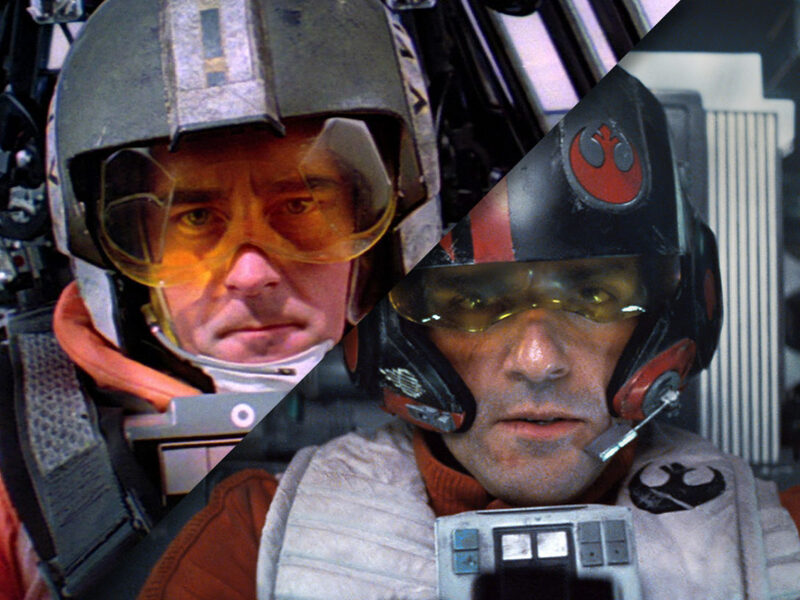 There was something happening with Star Wars; we didn’t quite know what it was. But Topps was getting a groundswell of support for anything and everything we did with the franchise. 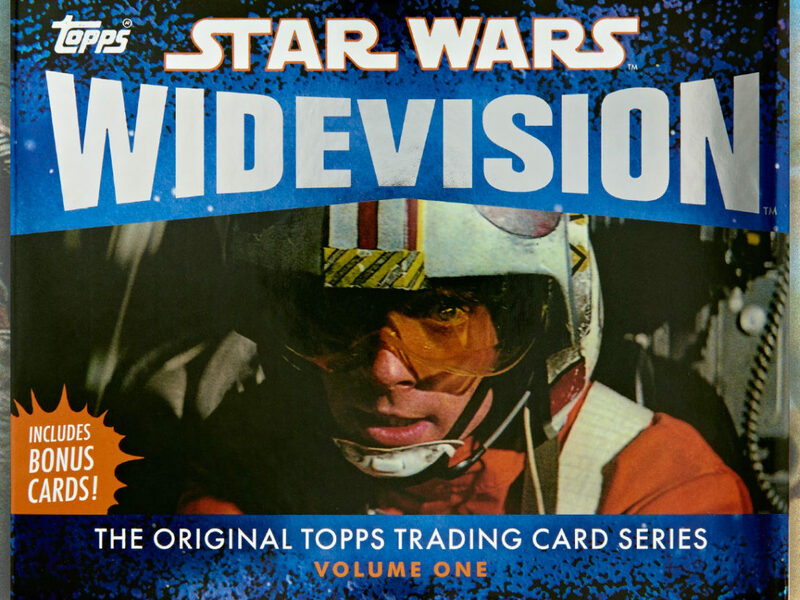 That ultimately led to our WideVision cards, pioneering a whole new cinematic widescreen format that had never been done before in trading cards. We were able to work with ILM to reprint images in a way that enabled people to see the entire scene exactly as experienced in theaters. One day, like everyone, we heard the news that it was true: there were indeed new films coming after all. Prequels, three of them; Episodes I, II, and III. That led to new rights and a whole new renaissance of the brand. StarWars.com: The rest, as we say, is history. Let me focus on you for a minute, Ira. As a Star Wars fan, do you have a favorite film in the saga? Ira Friedman: The Empire Strikes Back. I think it goes down as a real fan-favorite to many for a lot of reasons. But for me, it was the beginning of my relationship with the brand, the company, and people. That was the film that came out shortly after I started working at Lucasfilm. Ira Friedman: Probably Han Solo. But my favorite scene, however, is the cantina sequence from A New Hope. I’ve always been kind of a monster fan, and I thought visually it was such a stimulating scene in the movie and left such an impression on me as a fan for all these years. StarWars.com: As a Han Solo fan, how did you react to his fate at the end of The Force Awakens? I’ll just take an aside and say that for my son, seven at the time and wearing a full Kylo Ren costume to our screening, it was quite the blow…! Ira Friedman: Surprised, somewhat. Disappointed as a fan because I didn’t want to see him go. But I think — like many films and filmmakers sometimes do, the storytellers want to keep an audience on its toes and provide surprises along the way. So, I was definitely sad and surprised, but for the character’s journey…and the overall story, I thought it made sense. StarWars.com: Do you have one Star Wars collectible that you feel is your favorite? I’ve seen your office and as Ben Kenobi might have remarked, you’ll never find a more blessed hive of mugs and figurines. Ira Friedman: I’m no Steve Sansweet when it comes to collecting. I don’t have en extensive collection of stuff…but I do have two items that I consider near and dear that came from the very first movies. I have a ceramic Chewbacca tankard produced in 1977 by California Originals, and an R2-D2 cookie jar — also circa ’77 — by Roman Ceramics. I’ve always been interested in ceramics, and so I have a number of pieces from the early years…a Darth Vader mug, a Threepio cookie jar, as well, which is metallic and really cool. And then there was another company — Sigma — that came out with a tauntaun teapot, a C-3PO tape dispenser…a lot of great items were the ones I collected from the three original films. 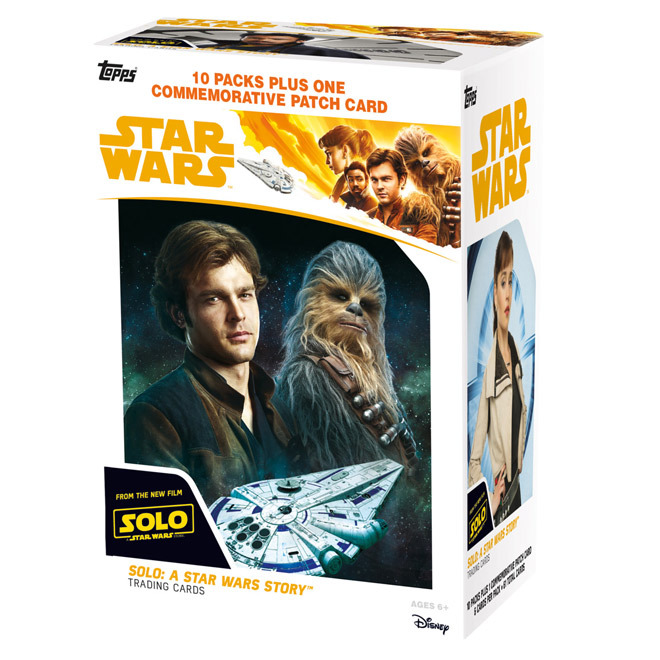 StarWars.com: What great things can fans expect from Topps as we march together toward Solo: A Star Wars Story and beyond? Ira Friedman: Our love for Star Wars will never cease. 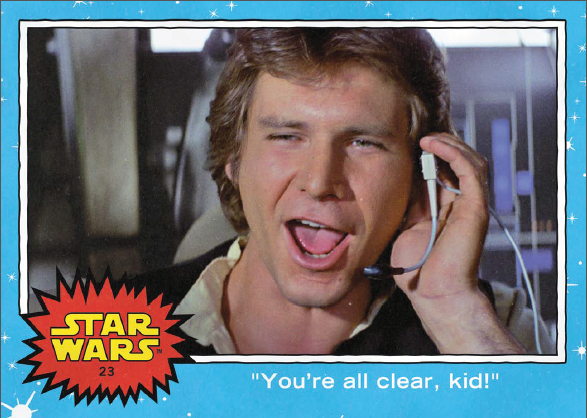 Topps has a bevy of new products in the hopper for Solo, and our rights do extend beyond [it]. We’re broadening our base of offerings — it’s not just trading cards any longer; we’re doing autographs, prints, and photos through our Star Wars Authentics program. There are blind bag collectibles and some other top-secret projects in the works that we’ll be announcing in the coming months. Our innovation will continue to grow, and our love for the Star Wars saga, like the stories that might be told in that galaxy far, far away, will hopefully never stop. I do want to close by saying one thing that I am very proud of: Topps is one of the earliest Star Wars licensors in the world. That is something in which we take great pride. Yes, there are a lot of great companies that have been involved with Star Wars for many years, but we were there since 1977 and continue to be there to this day. And the other part of it is, here I am since ’77, as well… Not quite ever expecting to be an employee of Lucasfilm, have contact with George Lucas, and to have done the things I did for Star Wars as an employee at Lucasfilm and then at Topps. I consider myself extremely lucky, fortunate, and privileged to have been a part of it all since the very beginning. 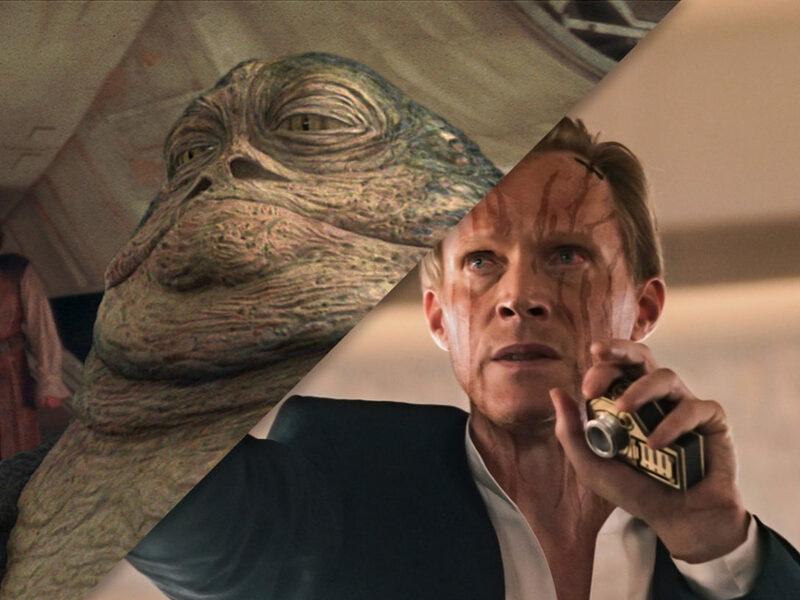 Look for Topps’ official Solo: A Star Wars Story photographs (via Star Wars Authentics) on April 20 and trading cards (above) on May 25. 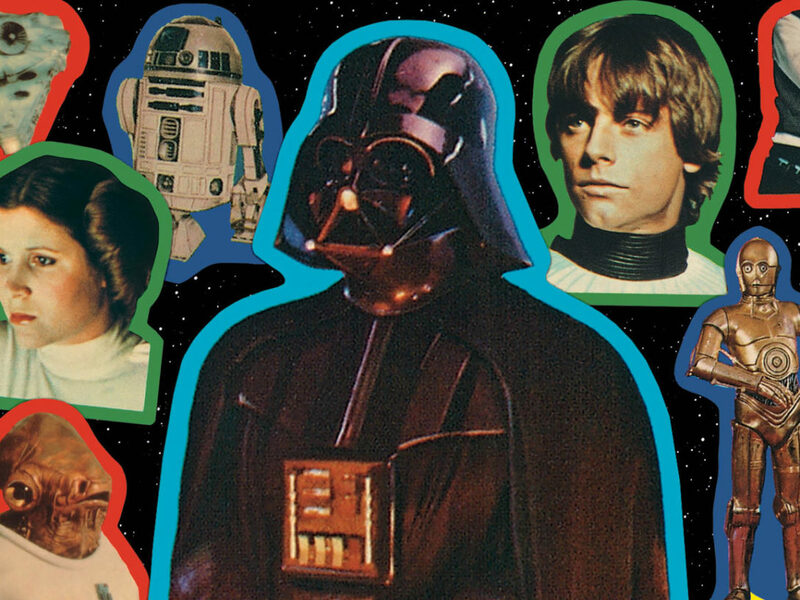 Stickers Strike Back in The Star Wars Topps Classic Sticker Book – First Look!